It rained all weekend here, and I didn’t want it to end. The weekend, I mean, and maybe even the rain. I cozied up with (too many) fat slices of pie and a terrible/awesome line-up of movies on tv (Major League, Footloose, Sister Act… I could go on but I’ve got a rep to protect) – needless to say, it was GREAT. And now it’s Monday and, I don’t know about you, but I think that sometimes Monday needs a big, juicy fist to the face. So we’re making french toast! In a waffle iron! On a weekday! Take that, Monday. I’ve been leafing through Dan Shumski’s Will It Waffle? for the past few weeks and, in the matter of classic french toast, I just had to know: would it, indeed, waffle? The answer is yes, my friends. The answer is YES. Bonuses to waffling french toast (as opposed to employing the traditional skillet method) include but are not limited to: the elimination of flipping and/or babysitting; extra crispy edges; and, most importantly, the creation of delicious divots for maximum syrup collection. So not only will it waffle but, indeed, it should. 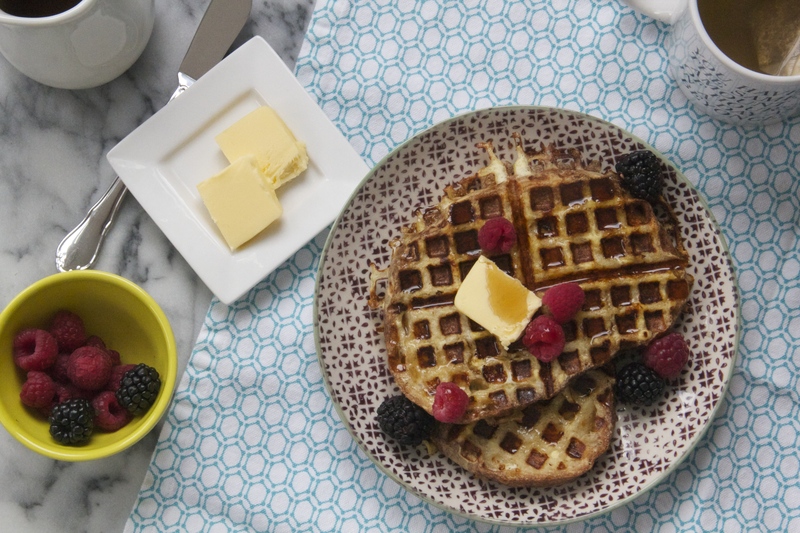 Let’s kick this Monday in the shins with waffled french toast! This recipe is so easy, and quite adaptable. A little orange zest thrown into the mix would probably be a good addition, or maybe a little hit of cardamom? Just make sure you waffle it well. Preheat the waffle iron (I set mine on medium heat – go ahead and do the same if your waffle iron has settings). In a medium bowl or pie dish, whisk together the eggs, milk, salt, sugar, cinnamon/nutmeg, and vanilla until well combined. 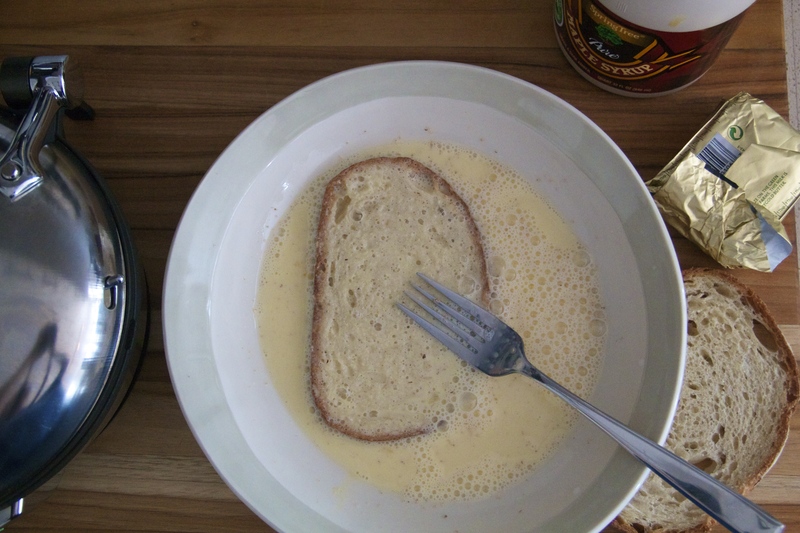 Place a slice of bread into the egg mixture and soak it until it’s absorbed some of the liquid, about a minute or two. Flip the bread and soak for another minute. At this point, your waffle iron should be ready! 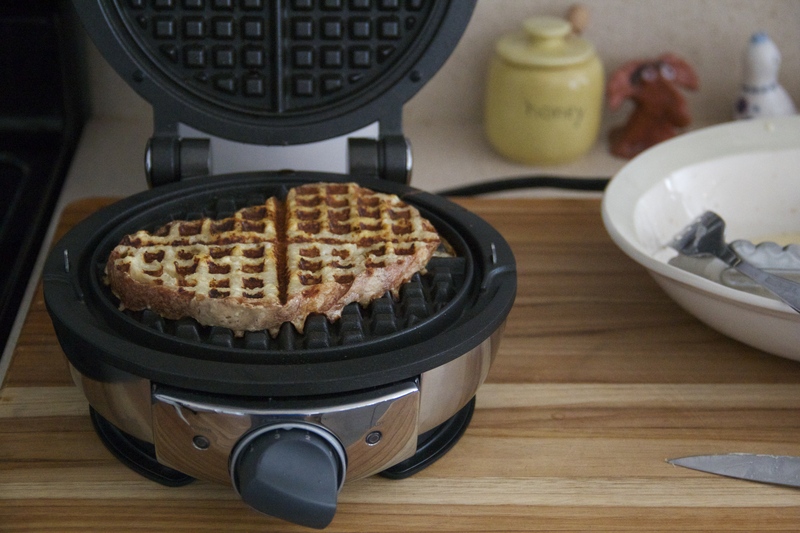 Coat both sides of the waffle iron with nonstick spray, and place the soaked slice of bread onto the waffle iron. Close the iron and cook until the French toast is golden brown and crispy at the edges. (While the first piece of bread cooks in the waffle iron, start soaking the next piece). 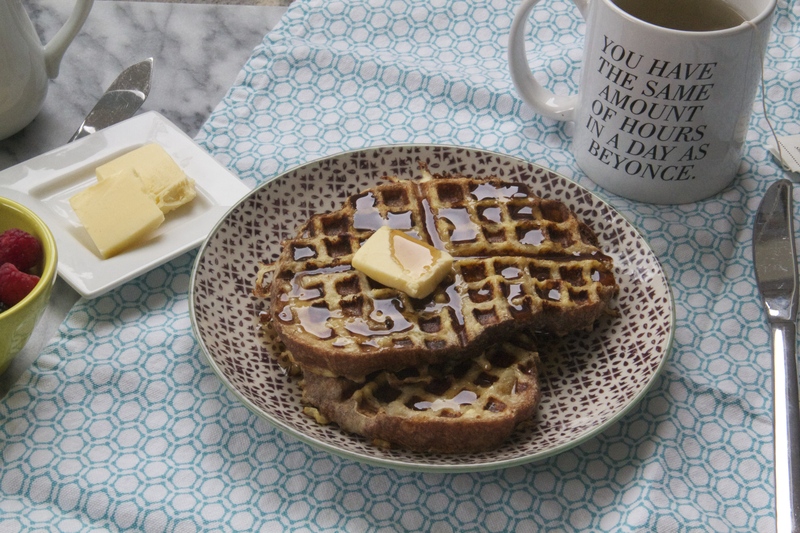 Transfer the Waffled French Toast to a plate, and repeat with the remaining slices of bread. Serve warm, topped with plenty of butter, maple syrup and fresh berries, if you like. Makes 4 pieces (to serve about 2 people). This looks amazing! So, as it turns out, some of the staff from BRG Enterprises will be in Seattle later this week. 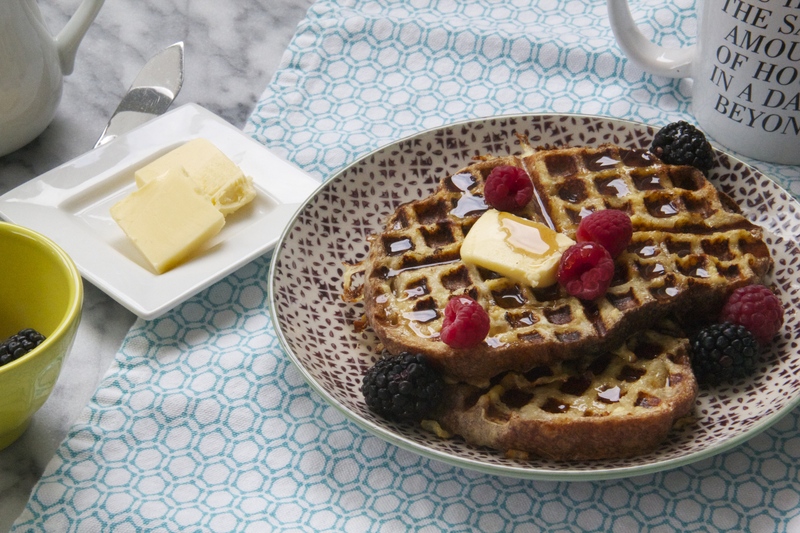 Any chance that you could whip up some of this waffled French toast for us? Thanks! Can I have that right now please? I’m all about crispy/custardy and this sounds about perfect. Oh, man. I’m over here futilely pawing at my screen a little to get this onto my plate right now. You made it look fantastic! Awesome, my kids love waffle very much, I will surely try your recipe to make it for them and hope they will love it. Thank you so much for sharing this.